Want to see our work? Look at our recent projects! Our work speaks for itself on this page! 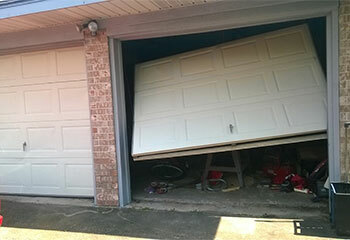 We highlight our company’s thorough and professional approach to completing garage door repairs, from spring repairs to panel replacements and more. 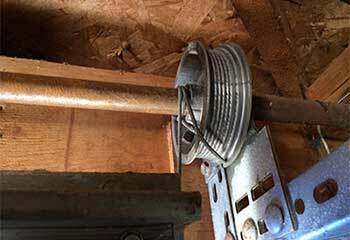 Our Solution: Our team secured the customer’s door before removing the old rollers one at a time. We then installed new steel rollers in their place, and made sure the tracks were aligned correctly and that the door could move smoothly again. Our Solution: We disengaged the opener and then carefully removed the remnants of the old component. After installing and then adjusting the new oil tempered torsion spring, we reconnected the opener and made sure there were no other underlying problems. 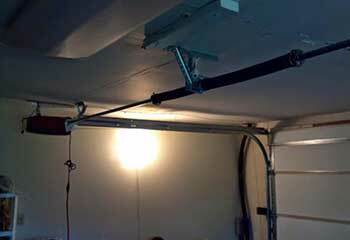 Customer Issue: The bottom of the garage door was slanting up on one side because the extension spring cable was damaged. Our Solution: We replaced the frayed cable and checked the springs for any damage before running a safety test to ensure the door functioned properly. 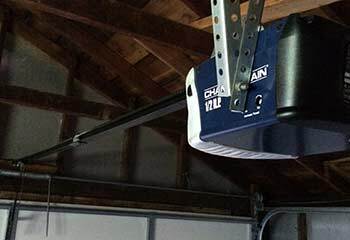 Customer Issue: The customer wanted a smartphone-enabled garage door opener. Our Solution: We installed a Chamberlain Whisper Drive WD832KEV unit and helped the customer to activate the MyQ function on her phone. 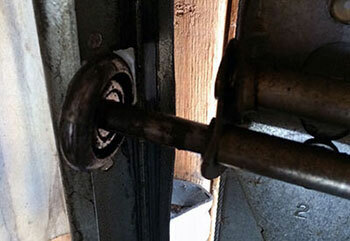 Customer Issue: A roller that came off the track, leading to a misalignment of the door. Our Solution: We noticed that some grime had built up on the track, so we cleaned and lubricated it properly before popping the door back in place.